羊とめぐる冒険 59ヶ国目アルバニア: ヨーロッパ最貧国!? / Albania! I wasn't sure how far I was going today. 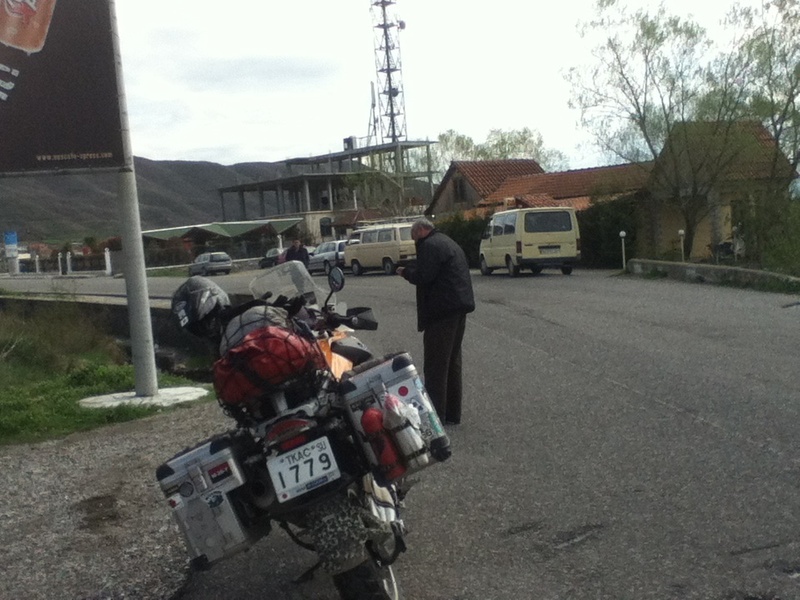 Albania, where I was heading, is as called "the poorest state of Europe". Due to the mismanagement by the government, the economic development of the country has been far behind from its neighbours. The infrastructures such as roads are not good either. If I get lazy in Albania, I might go through to Greece today. 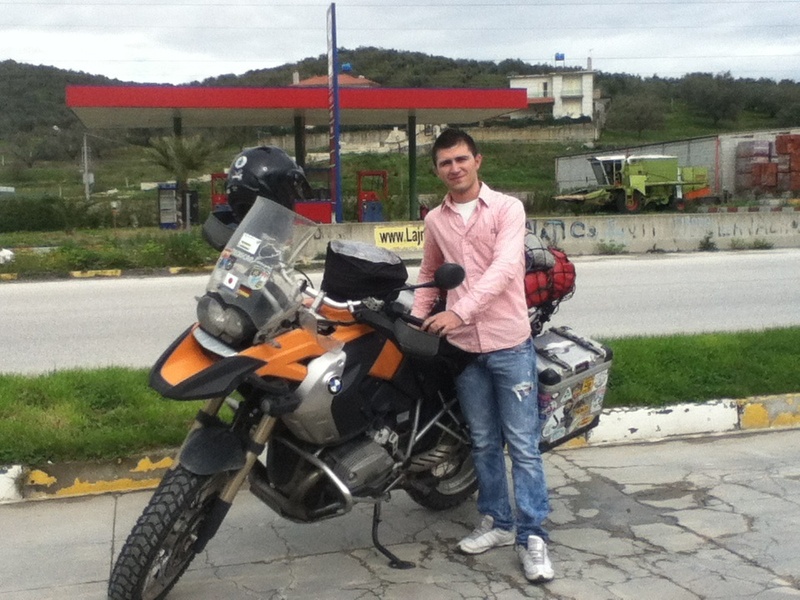 But it depends on the road condition of Albania. It might take longer to go through the country than I expect. 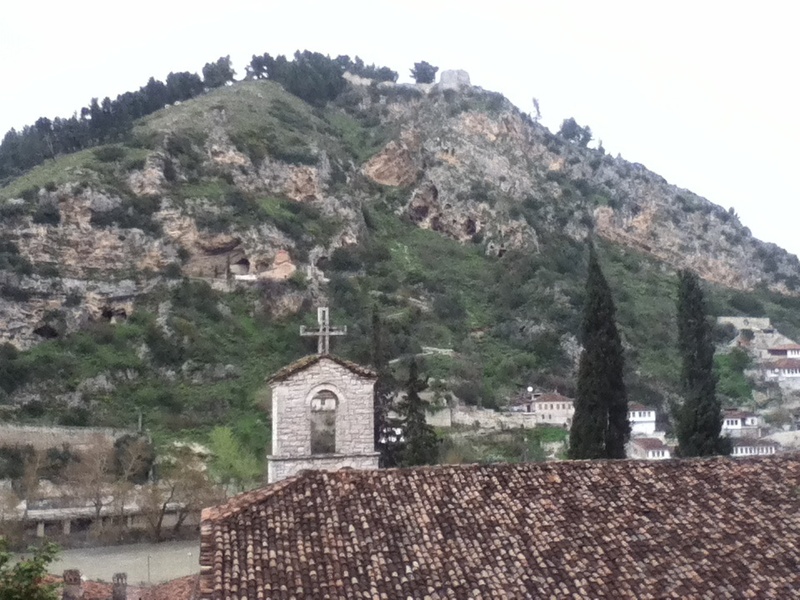 I left Kotor by 7:30am. There were many sections of the roads still under construction in Montenegro. Which delayed my advance. 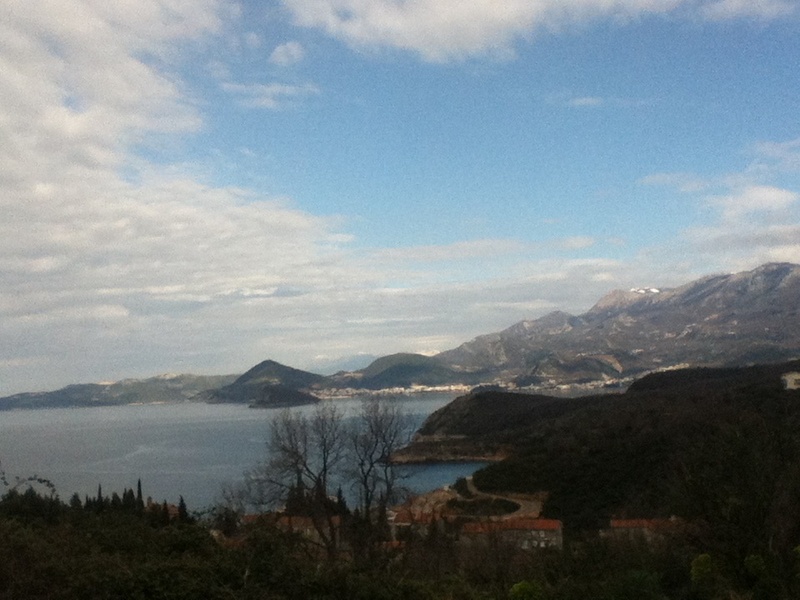 But the view of Adriatic Sea was great as usual. Well, it could be better if it was sunny. I got to the border without realising it! 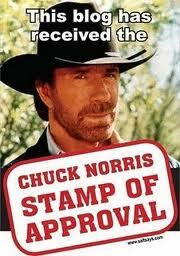 Here I got only one stamp for both Montenegro and Albania. Unusual. The officer did not mention anything about the green card. But I found some booths selling a green card, so I purchased one. For 15 days, €13. 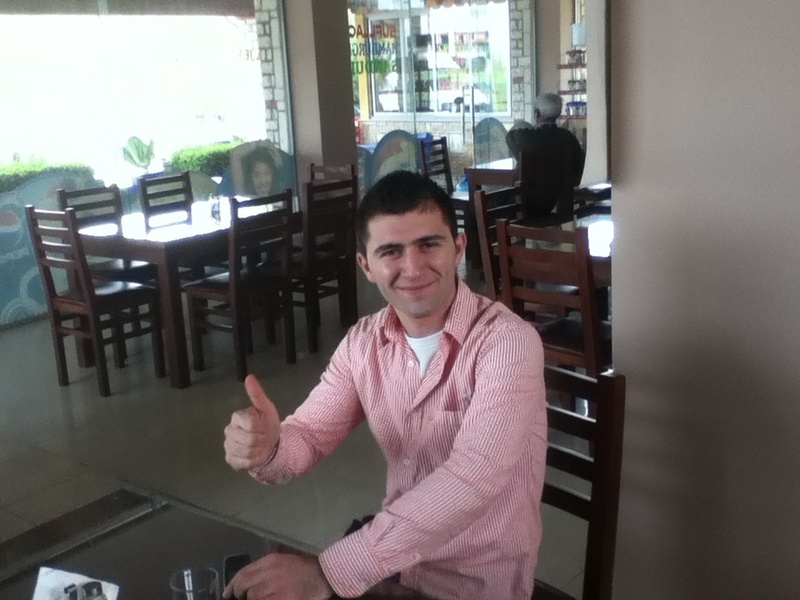 It seems like many Albanians speak Italian, so I spoke in Spanish to communicate with them. The basic conversations can be done in this way. I asked if there was any money exchange, but there wasn't. I was told I could use Euro in petrol stations and restaurants. 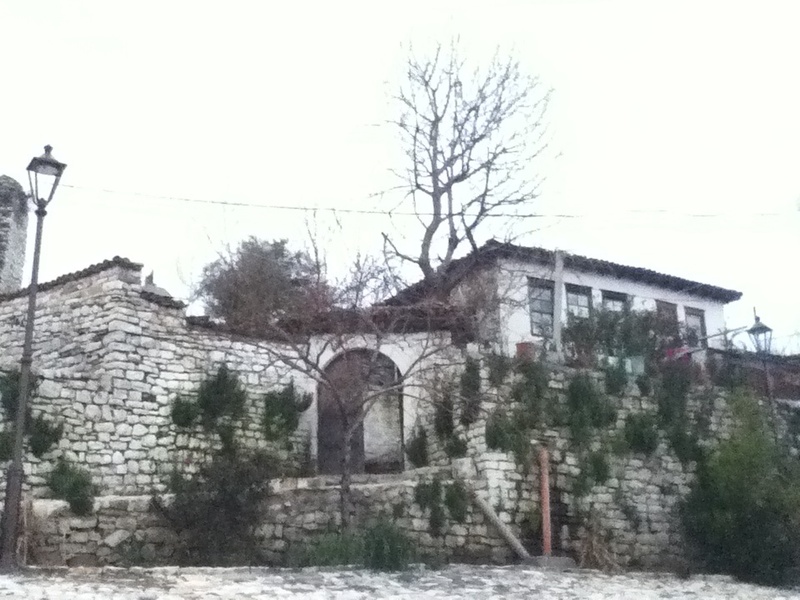 So I am in Albania, the 59th country of my visit on this trip. There were donkeys running on the road, pulling a trailers, the herd of sheep on the road side. Those reminded me of Latin America. The pavement was really in bad condition in many parts of the roads. I could tell here was much poorer than the neighbours. 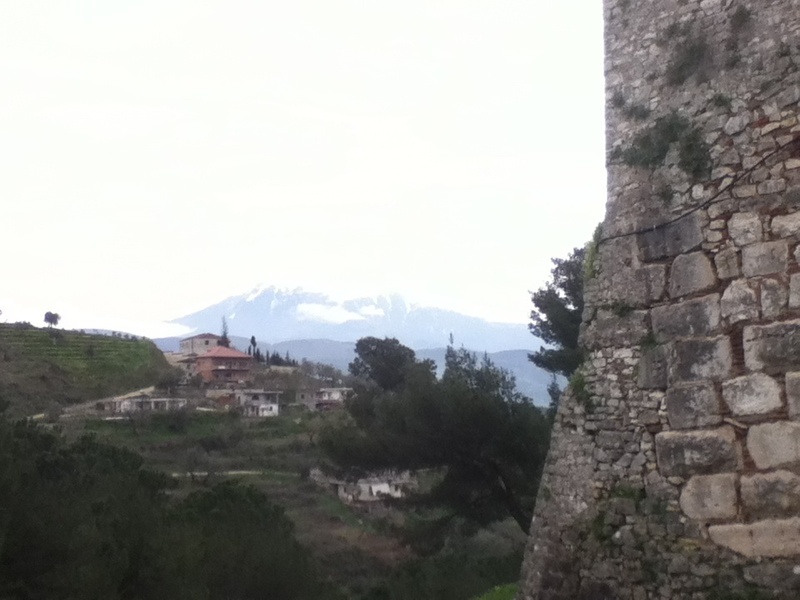 There was a fortress on top of the hill, so I took a photo. 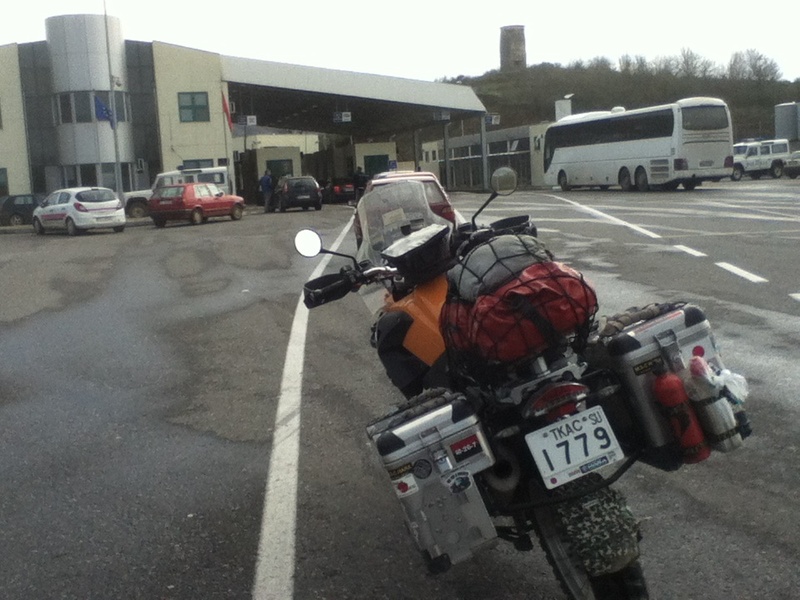 There were many petrol stations along the way. I wondered if they were cannibalising each other!? It's a famous story that more than half of Albanians lost their fortunes with multi-business. I am not sure if they learnt a lesson from the experience. But the way them built so much petrol stations, I doubt that. The driving manner of Albanians seemed to be fine. Although they were more rough than other Europeans. And there were lots of police on the way. They did not bother me though. As the road condition was bad, I could ride in high speed. It was taking longer time than I planned. As I mentioned earlier, there were lots of petrol stations. Every one of them had a sign saying "Bar Restaurant" or "Bar Kafe". But many of them did not have those facilities at all... I wondered why then put those on the sign. And some places where I could use Euro would not provide any food... But the sign said "Restaurant" clearly! But he told me the guy at the pump could exchange Euros to Albanian Leks! So I exchanged €20 to 2,700Leks. Now I could eat something. Well, if I could find a place serving meals. As guessed, now I could not find a restaurant! 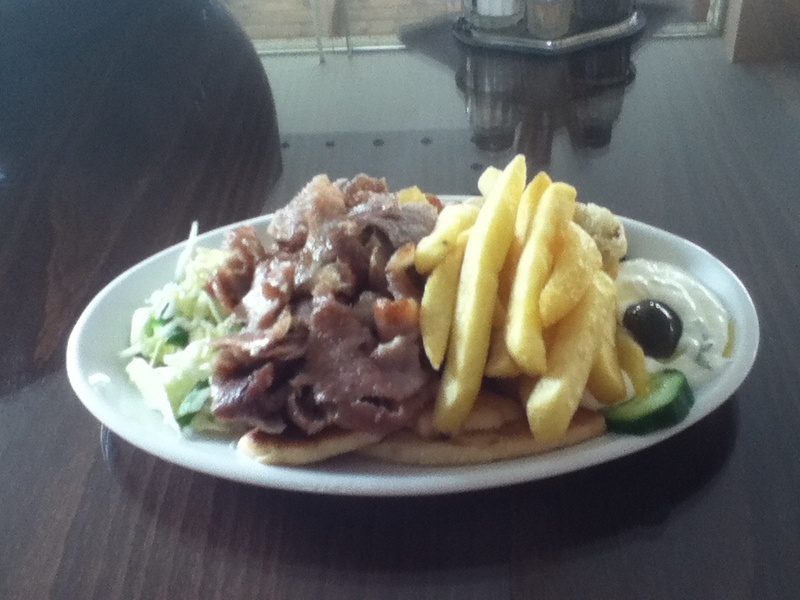 Albania was occupied by Ottoman for a long time, so Kebab became one of the Albanian local foods. 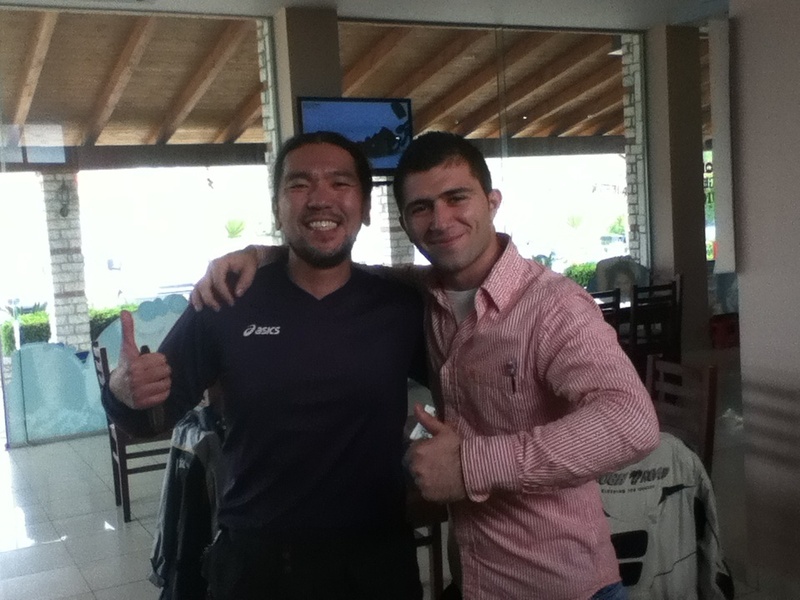 While having the kebab, the waiter Bernard came to talk to me. "Could I take a seat here and talk to you?" He asked in English. 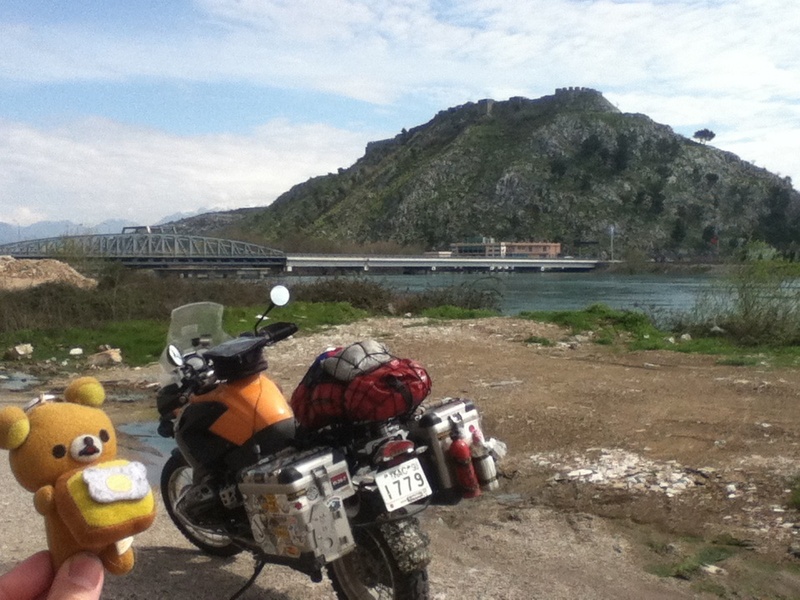 "So you are travelling on the motorbike! And from Japan! Really!!?" He was so surprised and was happy to get to know me. There were 4 guys at the table behind me. 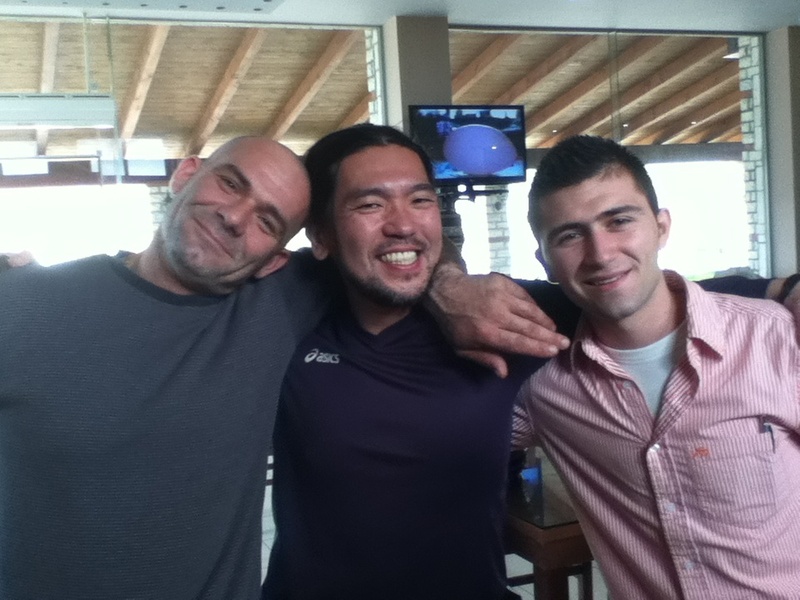 It was his boss and boss's friends having lunch. They joined our conversation and we made friends too. I took a photo of Esperanza and Bernard for a good memory. This kind of experience is what I like the most while travelling. I wasn't sure where I was staying today, but I had a place in mind if I could not get to Greece. 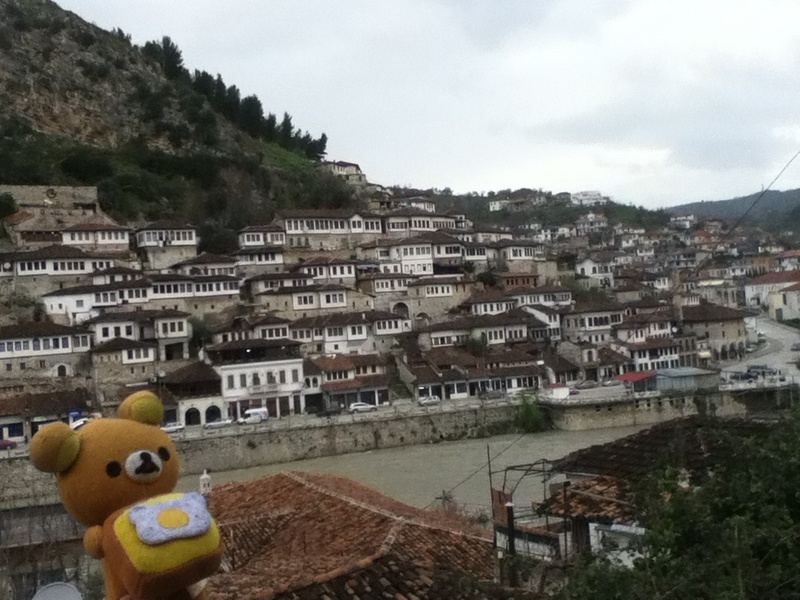 It was Berat. 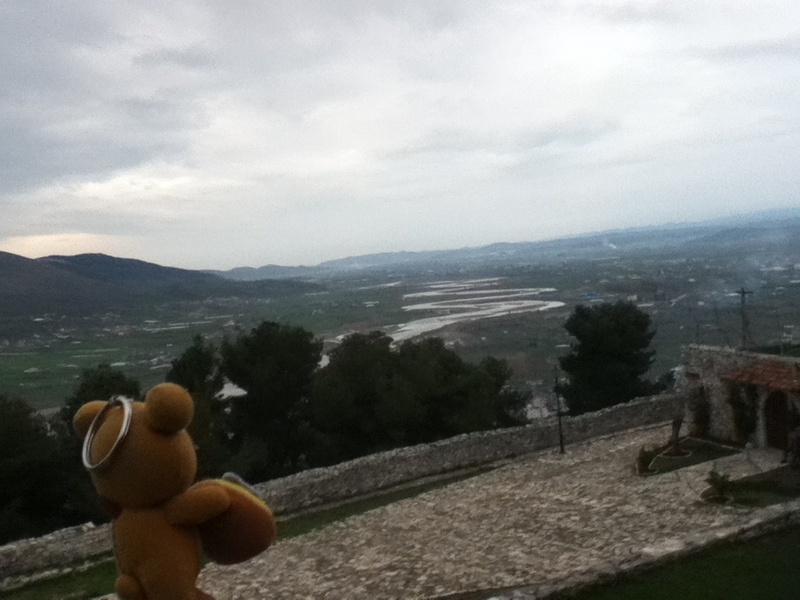 They said Berat was around 50km away. 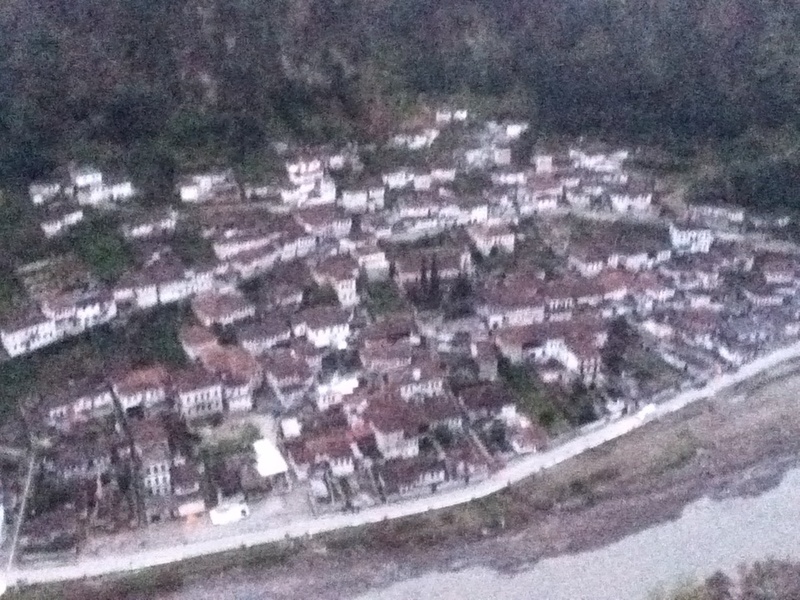 So I decided to stay in Berat. 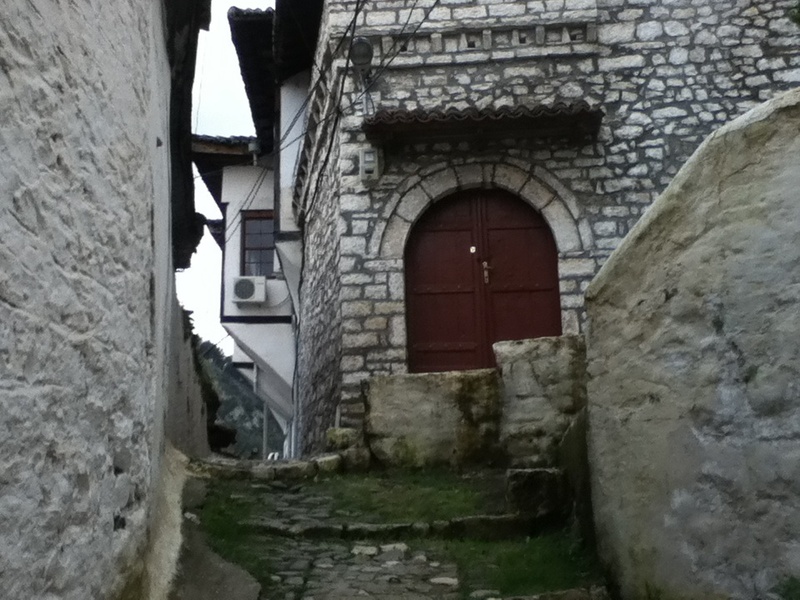 Berat was another town with the medieval touch. 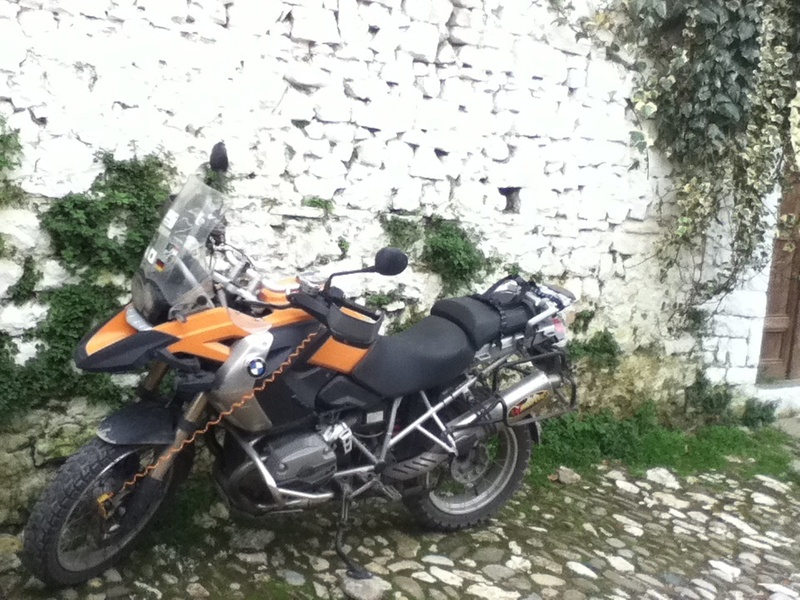 I rode into the old town and went through the stone paved alley. I found "Berat Backpackets" there. Unfortunately it did not have a parking space. So I had to park Esperanza on the alley. But Scott, the owner if the hostel, said there would be perfectly safe. Some motorcyclists parked their motos there over night. 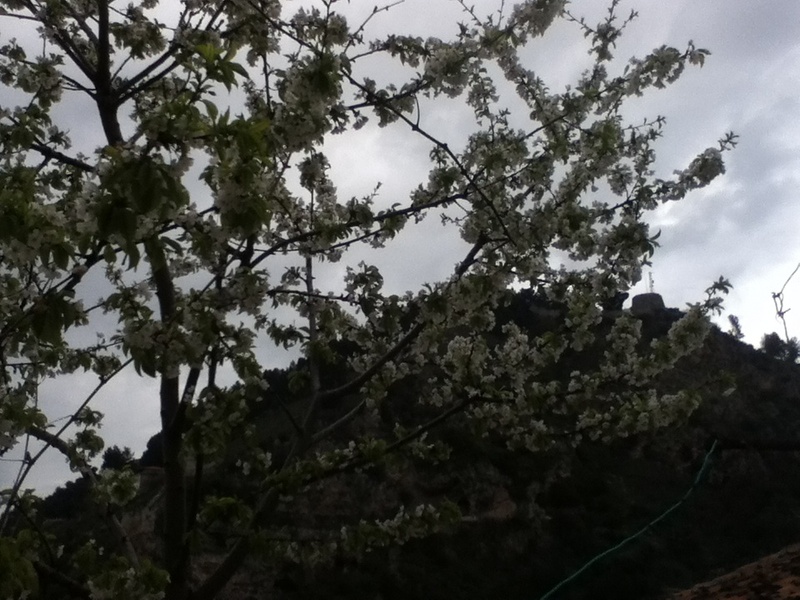 There was a tree bloomed at the hostel. Wasn't it Sakura? I went to explore in the old town. The old town kept more "local" and "everyday" atmosphere than Dubrovnik and Kotor and I liked it! 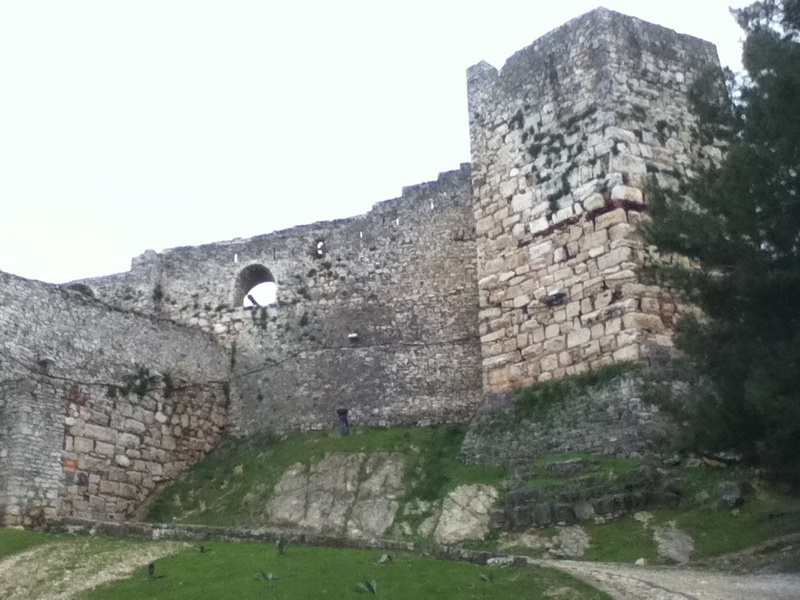 There was a castle on the top of the hill. A steep ascend I had to make. It was bigger than it seemed. Inside the castle, there were houses and shops! People were living there! 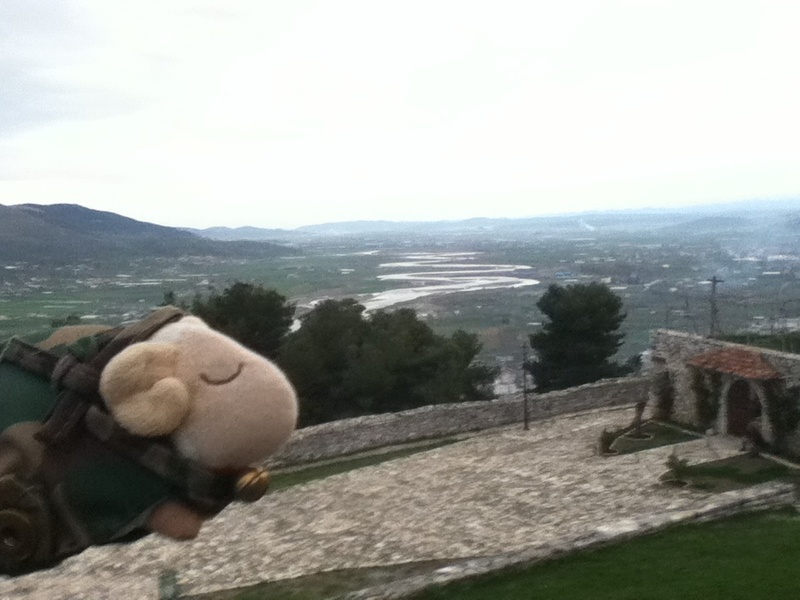 From the top of hill, I could see how the river flowed through. The flow looked natural, which I wouldn't see in Tokyo (of course!). But I wondered if there was any flood. The sun had set. From the top, I could see the block where the hostel located. Well, I get back to the hostel and made a plan for tomorrow.